In the summer of 2016, Chain Reaction Research profiled Noble Group. At the time, Noble’s market cap was around USD 2 billion. Likewise, Moody’s, S&P and Fitch had long-term credit rated Noble speculative grade at Ba3, B+ and BB+ respectively. Investors may sell or divest from Noble because of potential decreases in future revenue. Noble’s balance sheet oil palm plantation valuation may be inaccurate because its concessions includes potential peatland and primary forests that may not be cleared under Roundtable on Sustainable Palm Oil (RSPO) principles. Sustainability concerns may impact Noble Group’s cost of debt. PT Henrison Inti Persada (PT HIP) in Sorong, Indonesia. PT Pusaka Agro Lestari (PT PAL) in Mimika, Indonesia. On July 10, 2017, The Financial Times reported that Noble Group creditor HSBC pushed for an investigation into Noble’s environmental practices – including allegations it planned to clear-cut 18,000 ha of rainforest from its concessions in Papua, Indonesia. The RSPO then ordered Noble to halt further development of its palm oil holdings. On July 6, 2017, investment fund Goldilocks increased its recent purchases in Noble to 107.564 million shares. Goldilocks’ direct interest in Noble now totals 8.19 percent. Goldilocks is an indirect subsidiary of Abu Dhabi Financial Group. On July 26, Noble announced an agreement to sell its North American gas and power business for USD 248 million to Mercuria Energy Group. Then, on July 27, Noble Group announced Q2 2017 losses as high as USD 1.8 billion. On this news, its shares fell 31 percent day-over-day to close at SGD 0.395 from their July 26 close of SGD 0.575. Traded volume was more than 75 million shares, three times its 15-day moving average. 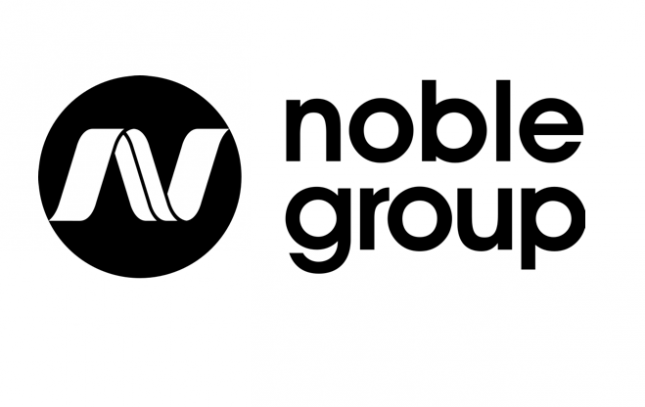 As of July 31, Noble Group’s market capitalization was USD 362 million. This matches up against liabilities including a USD 380 million bond due March 2018 and a USD 1.1 billion revolving credit facility and term loan due to May 2018. By close of business July 31, Noble’s 2020 bonds had risen 2.3 points to 35.4 points. Credit Suisse had also reported that it expects Noble Group to attempt a distressed debt exchange by offering unsecured bondholders new secured bonds in exchange for a 40 percent to 50 percent haircut to principal. On August 1, Noble Group notified HSBC, the trustee of the company, that they might default on payment for recently issued 2022 bonds. These junk bonds were issued March 6, 2017 when Noble Group raised USD 750 million at 8.75 percent. HSBC, ING, Morgan Stanley, Société Générale, ABN Amro, and Rabobank each participated in the issuance. According to the bond’s prospectus, Noble can cross-default if it misses payment on current or future debt of at least USD 75 million equivalent, or 5 percent of tangible assets. A cross-default occurs is a provision in a bond indenture or loan agreement that puts a borrower in default if the borrower defaults on another obligation. Interestingly, each of the proceeding banks have relevant rainforest protection policies in place. The unknown is: if Noble Group defaults, what – if any – impact would the banks’ rainforest protection policies have. It is also unknown if in a default situation, forested concessions would be sold into the hands of buyers who would then restart the clearcutting process on the key 18,000 ha forested part of the concession. On July 28, Iceberg Research tweeted that they will publish a new report on Noble soon. They have alleged previously that Noble’s contracts have been overstated and booked as assets before they are paid. This was refuted in 2015 by PwCs reports that answered the question whether Noble’s mark-to-market processes accurately applied accounting standards. On Wednesday August 2, Noble confirmed that they made their USD 39.7 million coupon payment for their 2020 bonds due on July 29, a Saturday. This made July 31 the effective payment date. Their next coupon payment deadline is September 9, when they must pay USD 32.8 million to their 2022 bondholders. By paying the 2020 bond coupon payment, Noble’s one-year default risk decreased according to Bloomberg quantitative models from 10.77 percent to 9.86 percent. It is fair to assume that Noble, because of their cash crunch to pay off their September coupon payment and their newly announced Asset Disposal Programme, initiated with a goal of generating USD 800 million to 1 billion over the next two years, will now actively shop their Indonesian 70,000 ha plantation assets. But these plantation assets come with environmental concerns, including previous deforestation and RSPO complaints, that may decrease their marketability and sales price. From 2013 to 2015, Noble Plantations deforested 11,500 ha in forest and peat lands. By 2016, subsidiary PT PAL had cleared an additional 6,500 ha of primary forest, with plans to deforest the remaining 18,000 ha of primary forest in its concession. These plantation assets face an uncertain future as Noble Group attempts to generate cash. It is unknown what impact their creditors’ deforestation policies will have on Noble’s ability to sell these potentially contested palm oil assets. Noble’s Q2 2017 earnings call is August 11, 2017. More information about Noble Group’s palm oil assets are here.